Two of Nigeria's sexiest male artists out right now on one song? Haaaa! The video is craaaazy! 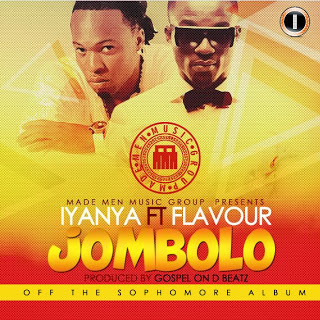 As Iyanya currently tours the UK for his sophomore album release "Iyanya vs Desire", he found time to drop his new video to "Jombolo" featuring one of my personal faves - Flavour. Iyanya premiered the video on Sunday in London during his concert. And now the visuals directed by Sesan is officially out for the rest of the world to see. "Jombolo" was produced by Gospel On D Beatz.